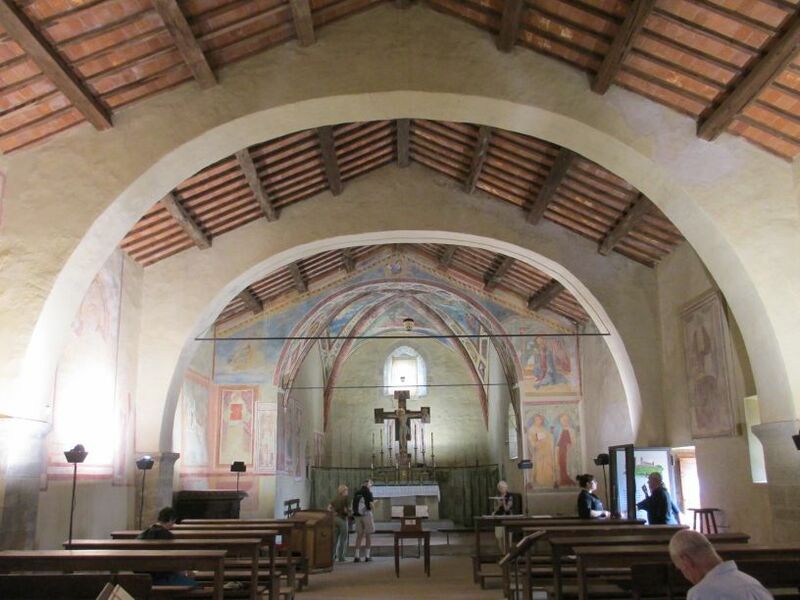 Churches, Isola Maggiore, Italy: There are several interesting medieval churches on the island and all are worth a visit, particularly the Church of St Michael at the top of the hill. 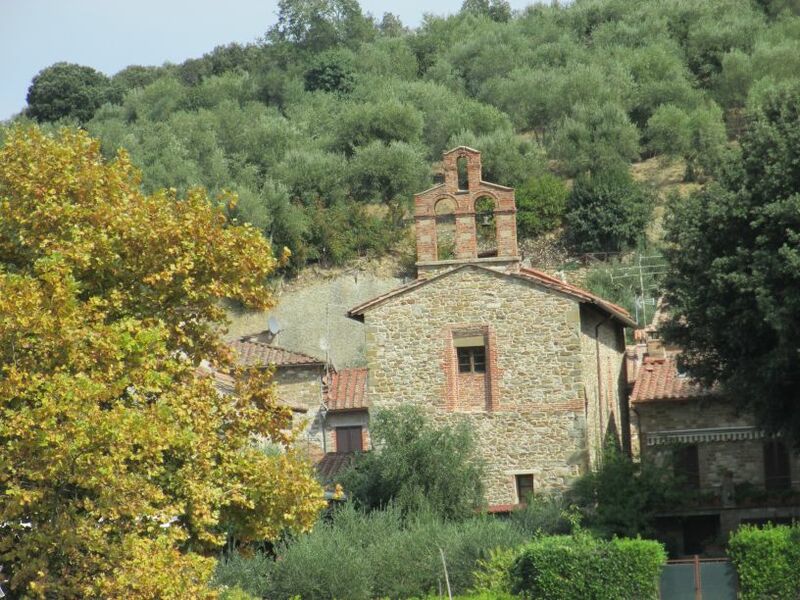 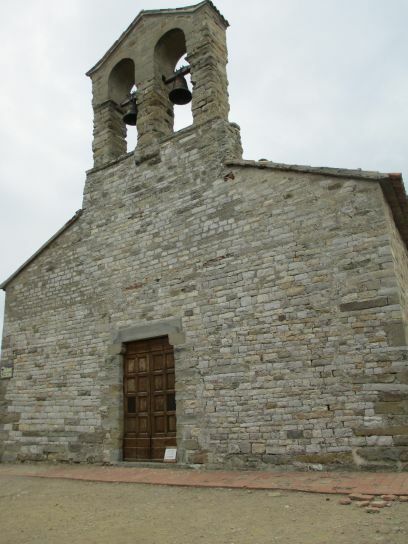 Churches, Isola Maggiore, Italy: Church of Saint Michael the Archangel on the top of the hill. 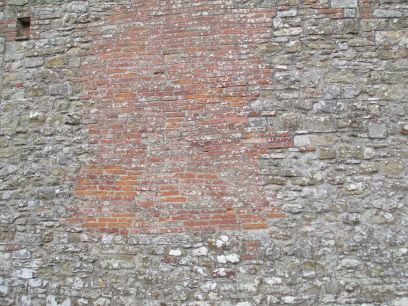 The sturdy walls of the west end of this fascinating church. 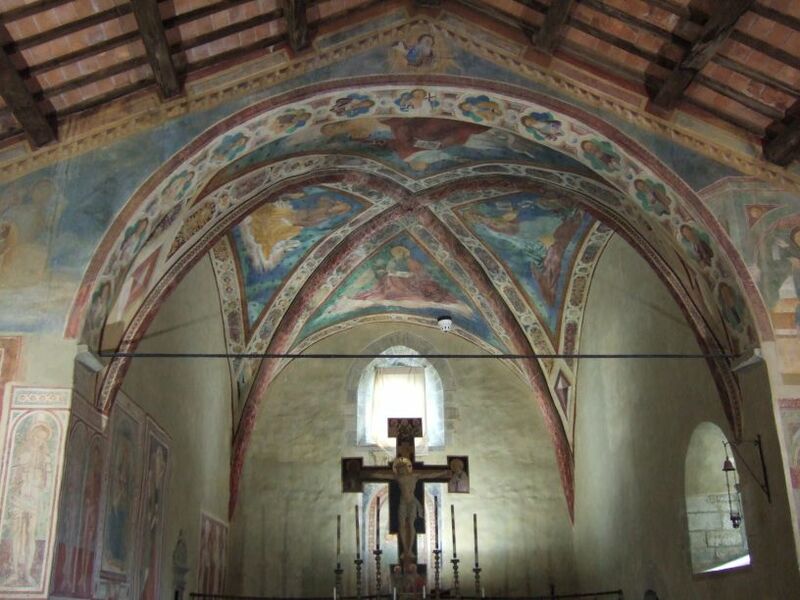 Churches, Isola Maggiore, Italy: Church of St Michael the Archangel (Chiesa di San Michele Arcangelo) - The original building was built in the 12th century and many frescoes in various states of preservation adorn the walls. 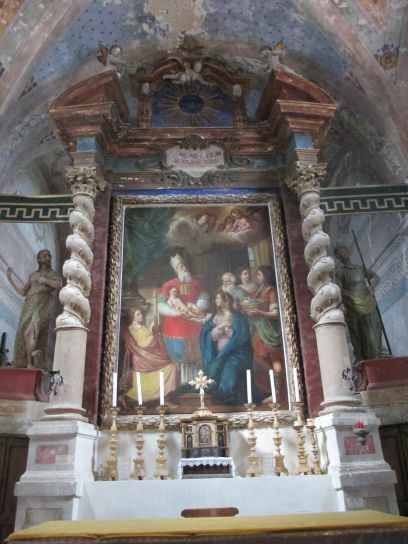 Churches, Isola Maggiore, Italy: Church of St Michael the Archangel (Chiesa di San Michele Arcangelo) - Looking down the nave into the chancel and altar. 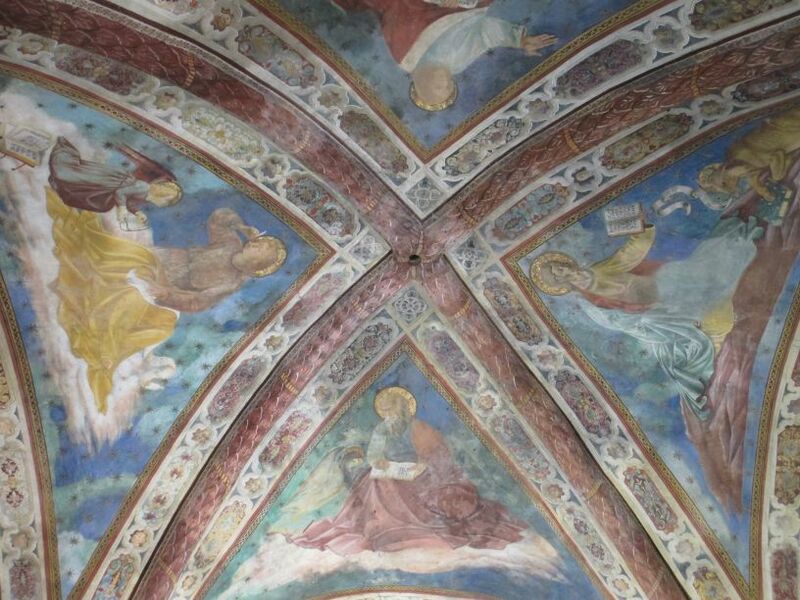 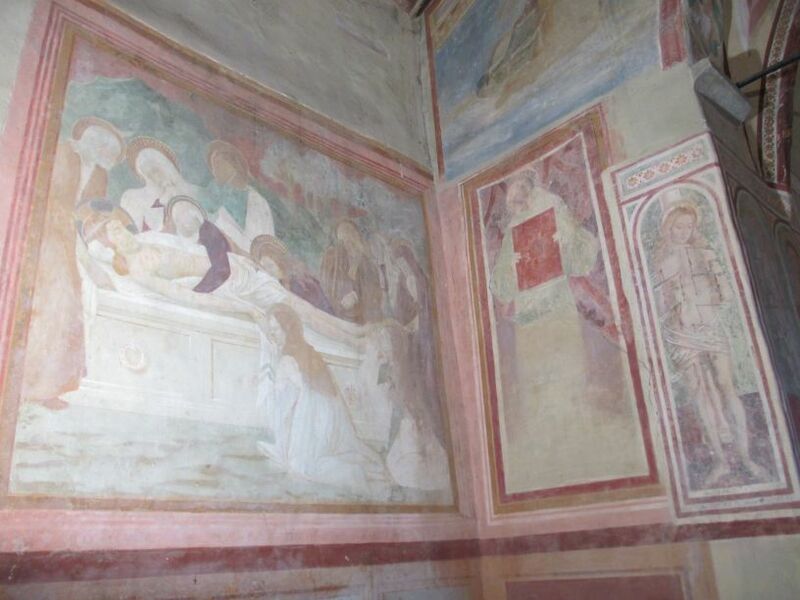 In 1446 a capable painter known as the 'Master of the Camerino Triptych' painted the final fresco on the north wall. 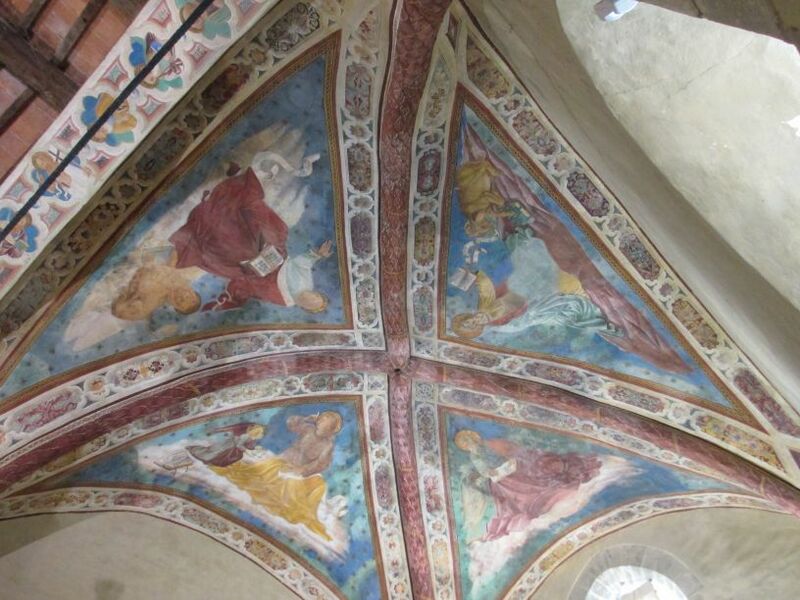 Churches, Isola Maggiore, Italy: Church of St Michael the Archangel (Chiesa di San Michele Arcangelo) - The chancel with its painted ceiling. 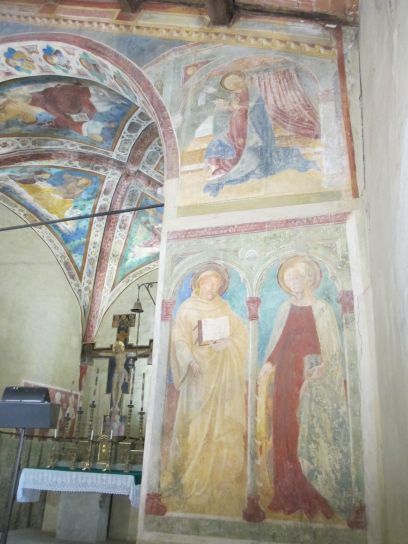 Most of the frescoes date from the later 15th century and early 16th century. 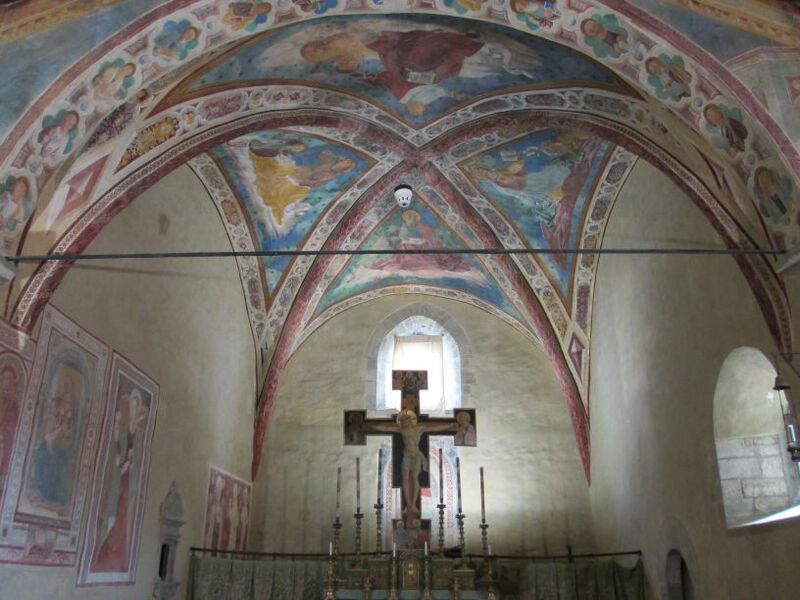 Churches, Isola Maggiore, Italy: Church of St Michael the Archangel (Chiesa di San Michele Arcangelo) - Sorry, a poor image of the altar Crucifixion cross painted by master painter Bartolomeo Caporali in 1460. 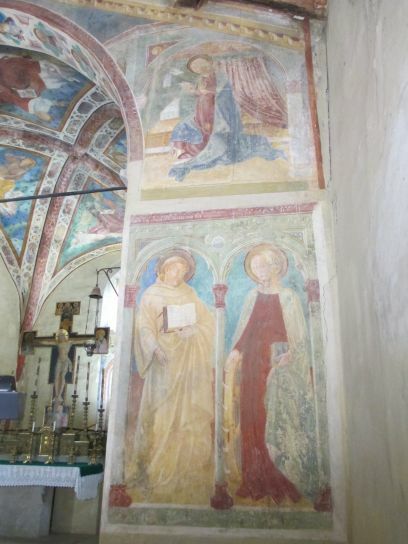 Churches, Isola Maggiore, Italy: Church of St Michael the Archangel (Chiesa di San Michele Arcangelo) - frescoes showing the style of dress from the 15th-16th century period. 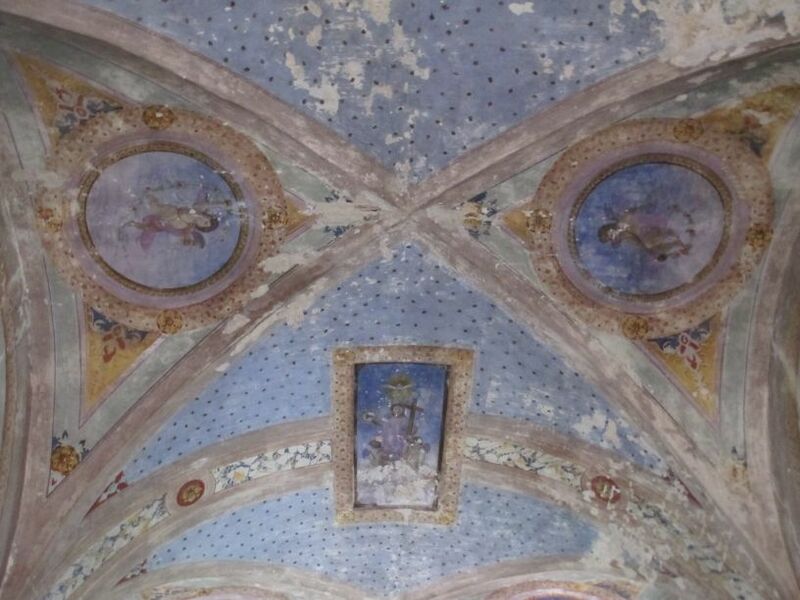 Churches, Isola Maggiore, Italy: Church of St Michael the Archangel (Chiesa di San Michele Arcangelo) - Details of the frescoe paintings on the ceiling of the chancel. 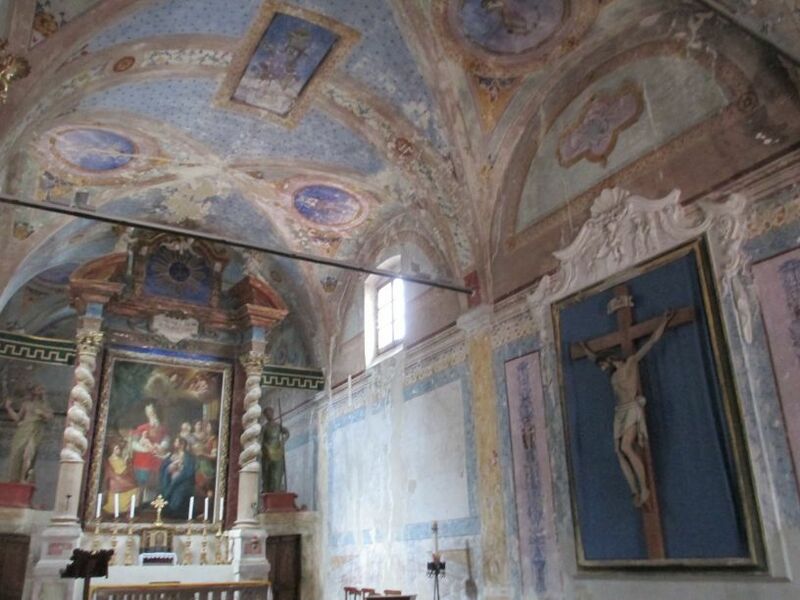 Churches, Isola Maggiore, Italy: The east end of the Chiesa del Buon Gesù church in the old town. 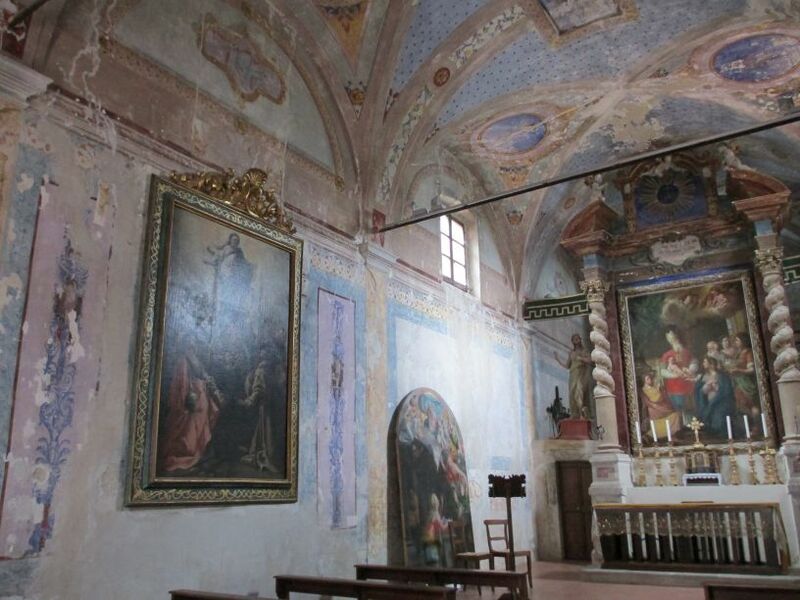 Churches, Isola Maggiore, Italy: Chiesa del Buon Gesù church - with its baroque entrance and 19th century wall paintings. 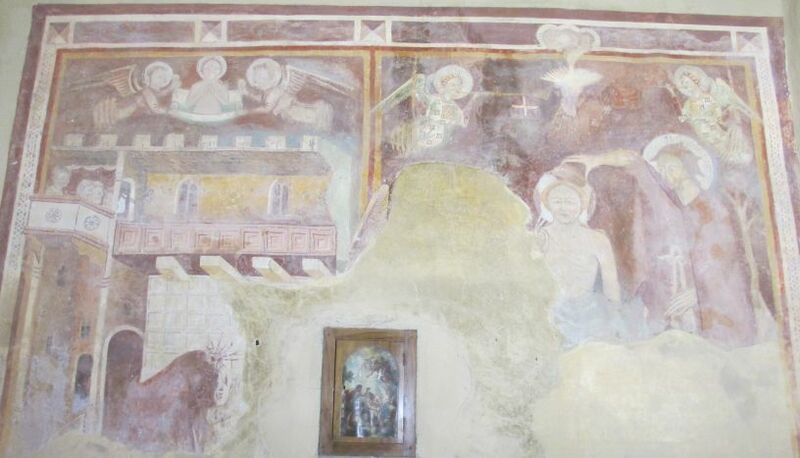 The altar painting is older? 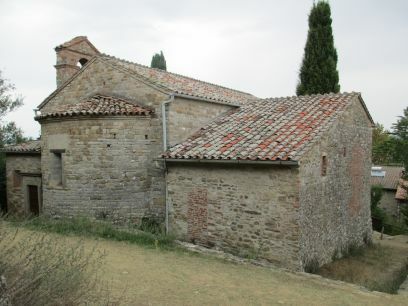 The Chiesa del Buon Gesù church was built as an oratory for the Compagnia del Buon Gesù in the fifteenth century, it was significantly altered in the seventeenth century when its interior and façade were both given a baroque facelift: the main altar painting is a copy of the one designed by Gian Lorenzo Bernini for St. Peter's in Rome. 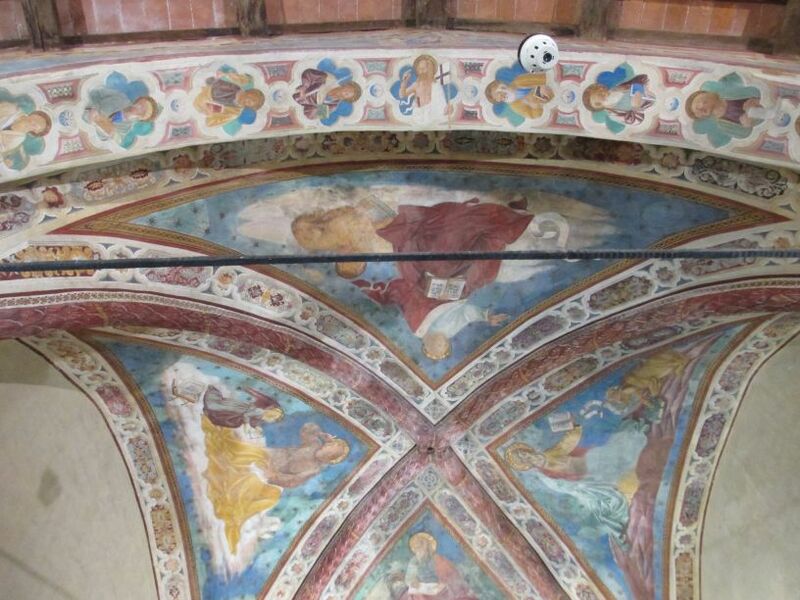 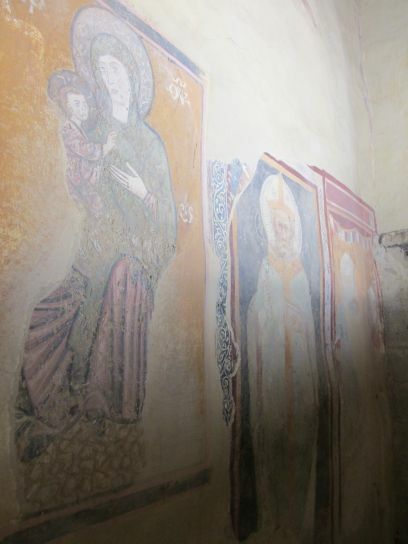 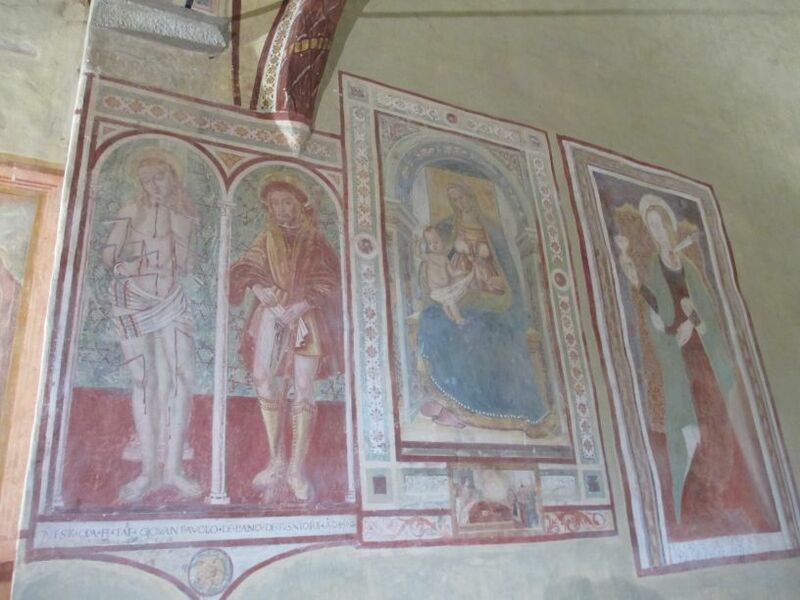 Churches, Isola Maggiore, Italy: The wall paintings - frescoes - are in quite a bad state. 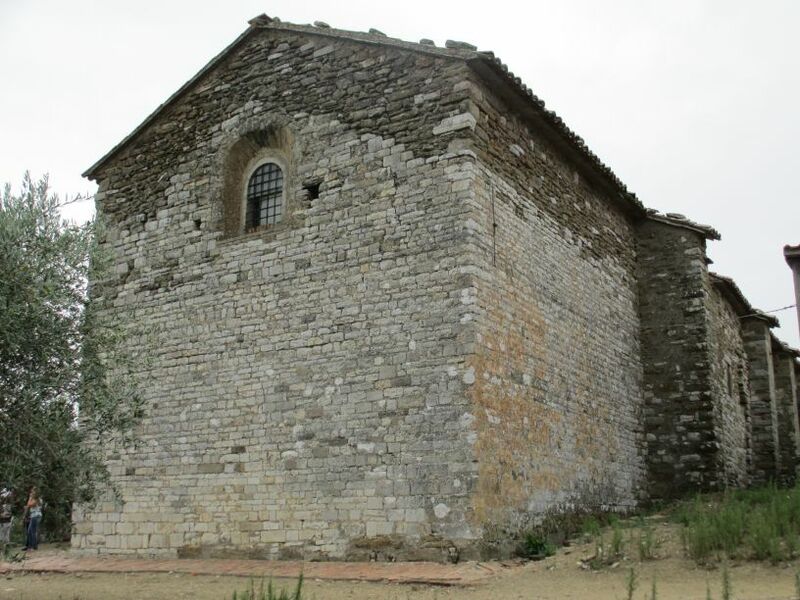 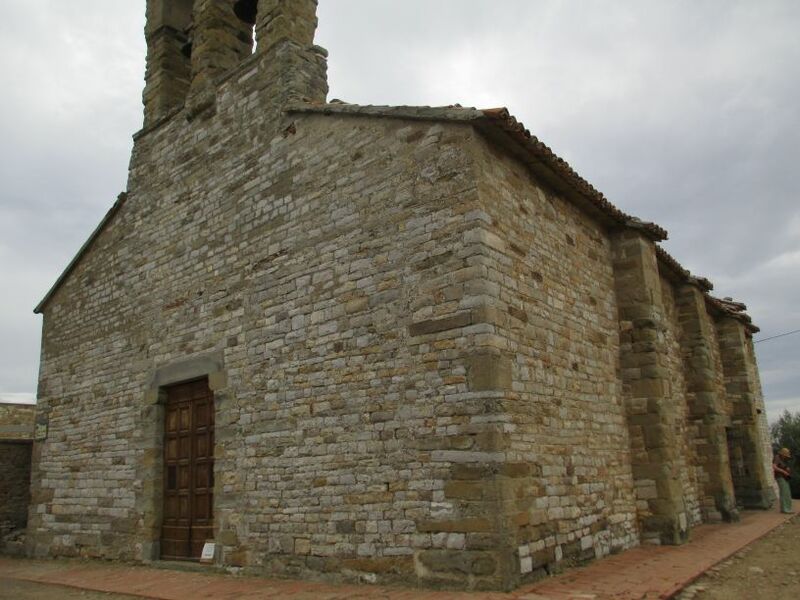 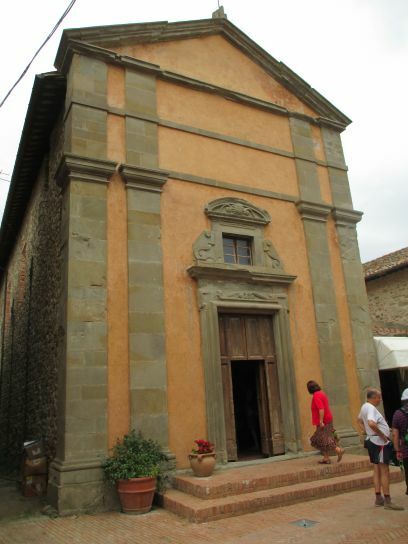 Churches, Isola Maggiore, Italy: The Romanesque church of San Salvatore with its walls patched up with Roman bricks. 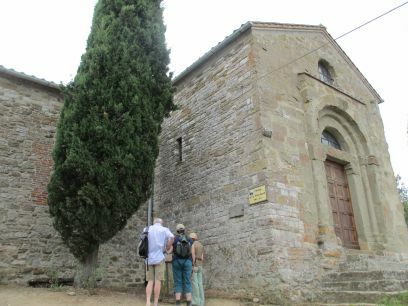 The east end as the traditional round apse where the chancel and altar are. 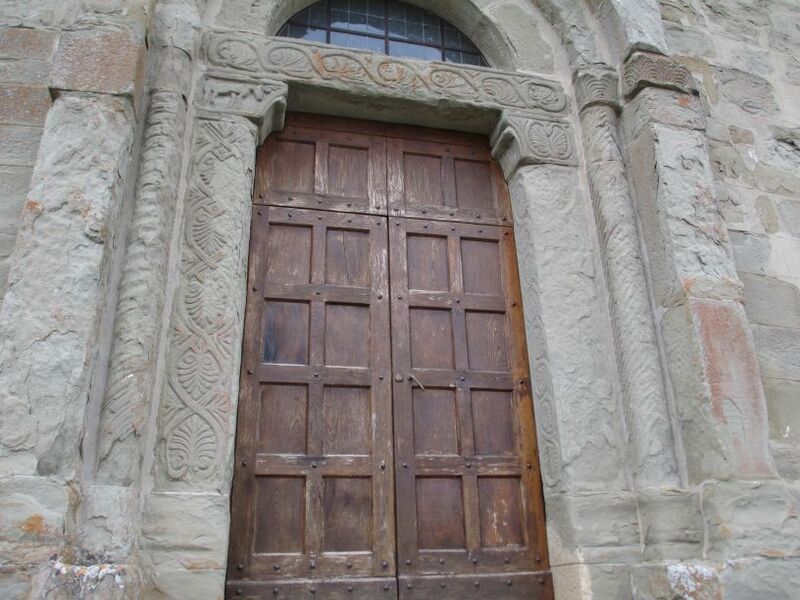 Churches, Isola Maggiore, Italy: The Romanesque church of San Salvatore - the beautiful carvings around the west door entrance. 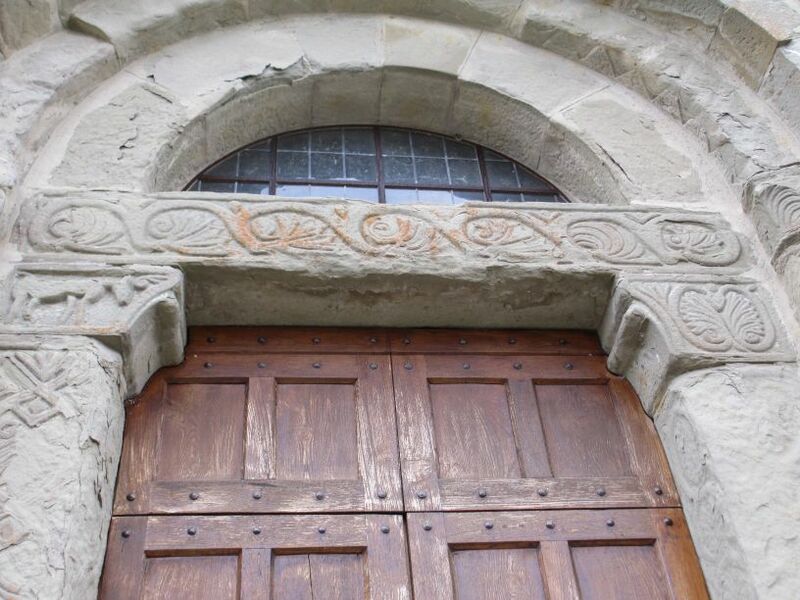 Churches, Isola Maggiore, Italy: The Romanesque church of San Salvatore - details of the carvings above the door.